"Calcite amplifies energy and clears and activates all of the body's energy centers, helps the mind with memory and helps the body to remember its natural state of perfection. " Melody "Love is in the Earth". Ethically mined Icelandic Spa, Optical Calcite. Optical Calcite with many beautiful rainbows. 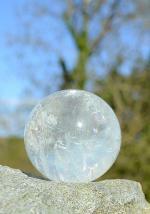 "The clear calcite and golden calcite are excellent energy sources for use at the crown chakra." Melody, Love is in the Earth. Ethically hand mined in India. Beautiful and energetic Calcite cubes form this larger cluster. 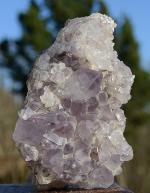 Clear calcite spikes pierce a bed of amethyst. Stunning green calcite nodules provide a landscape for quartz trees. Rare..
A snowscape of white ice sheets are pierced by slightly smoky quartz generators. 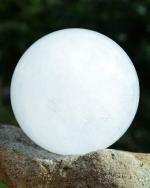 One has a calcite inside it, a rare type of manifestation formation.